Checks all the boxes: Gulf-front, 4 bedrooms each with en-suite baths, an additional spacious bunk room, light-filled airy corner unit, direct access to a tranquil heated pool from your breezy terrace, 580 ft of private white sand beach, furnished and turn-key, luxury features including 10 ft. ceilings with crown molding, travertine floors, high-end stainless steel appliances with new ice machine, a 6-burner gas stove, a lavish master bath with over-sized whirlpool tub and double headed shower with built-in seating, walk-in closets, deeded garage parking and storage, an on-site gym, gated with 24-hour security, an 8,000 sq ft cascading resort pool with spa amid lush landscaping - What more could you want in a beach condo to make priceless family memories and a great rental return to boot? 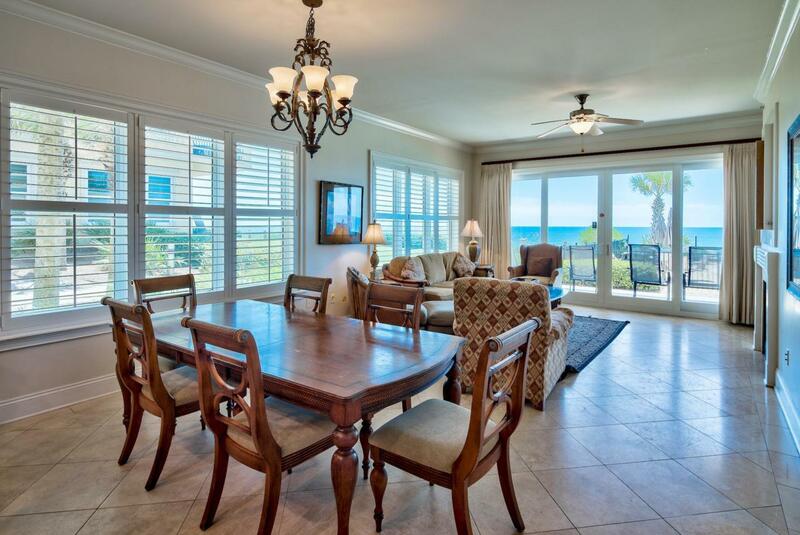 Listing courtesy of Engel & Volkers 30A Beaches. © 2019 Emerald Coast Association of Realtors MLS. All rights reserved. IDX information is provided exclusively for consumers' personal, non-commercial use and may not be used for any purpose other than to identify prospective properties consumers may be interested in purchasing. Information is deemed reliable but is not guaranteed accurate by the MLS or Classic Luxury Real Estate, LLC. Data last updated: 2019-04-26T07:59:34.493.